Searching for an experienced and reliable aluminium fabrication specialist who can custom-build courier packs and rear bars? Look no further than Great Racks, the leading fabrication firm in Western Australia. Our team of talented and skilled craftsmen specialise in designing and building courier packs that can withstand the harsh Australian weather conditions and the demands of your load. 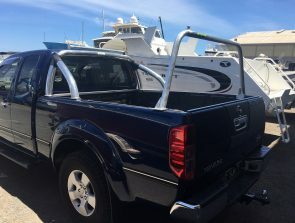 Also known as a rear bar, a courier pack is an affordable and convenient option for securing ladders and other bulky items on your utility vehicle. 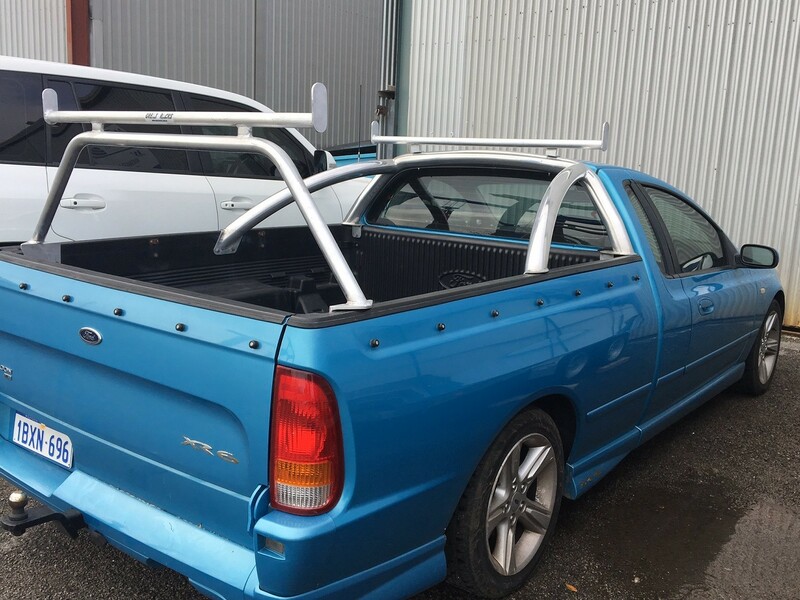 Unlike other companies in the area, we do not offer pre-fabricated rear bars. Instead, we custom build courier packs so they match the shape and the height of your headboard. We also add extra gussets and supports to match the carrying capacity sought by our customers. 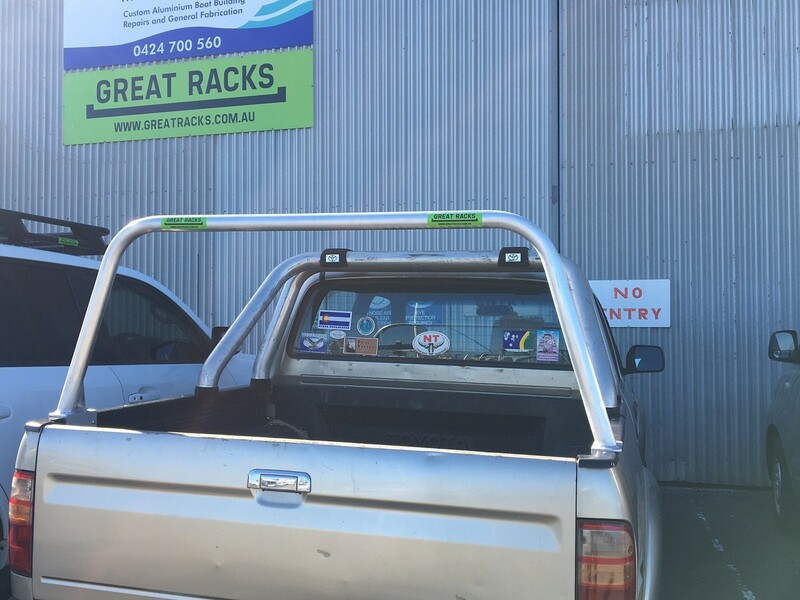 At Great Racks, we always place customer satisfaction as one of our topmost priorities. As such, we carefully listen to our client’s needs so that we can come up with an efficient solution for them. For instance, if your vehicle does not have a headboard, we can fabricate and fit one for you. On the other hand, if your vehicle has a sports bar, we can fit it with a custom-built packer that also matches the height of the rear bar. We always find a solution to suit your vehicle and meet your carrying needs. We have been in the industry for a long time, thanks to the solid client base we’ve built over the years. Since our customers are important to us, we only give them products that are made with quality materials. On well body vehicles, we craft courier packs and rear bars with 6mm thick angle over rubber inserts to mount to the tub. 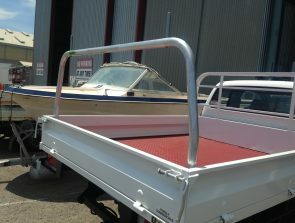 On tray back UTEs, we use 5mm marine grade plate to mount to the tray. Our skilled and talented craftsmen ensure the strength and durability of the end-product by using 3.5mm wall thickness tube for the bars along with neat, strong welds. With our custom built rear bars, you can have the option of selecting the height and span of the upstands. We also offer a free courtesy car Hilux workmate so that you won’t need lifts when dropping off your vehicle, allowing you to go about your work day as usual. When you need a courier pack or rear bar that’s custom built to suit your carrying needs, give Great Racks a call today at 0424 700 560!